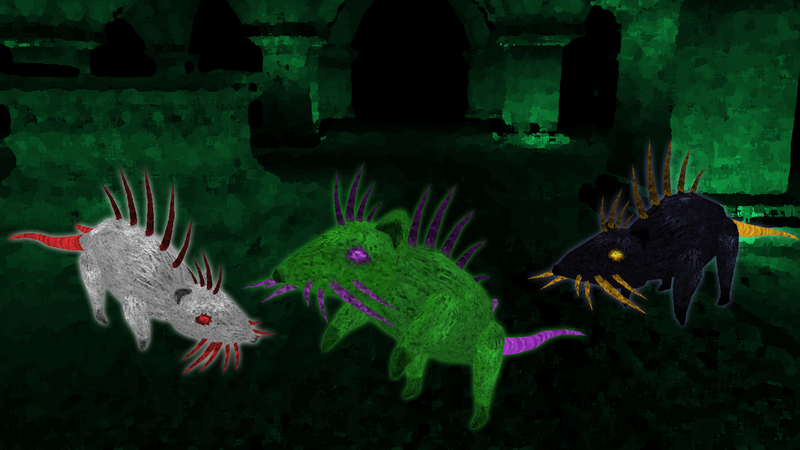 New Mob Added: Wraamon - Chaos rats that leap and bite causing instability. Argus now have a ranged Chaos Orb attack. Fixed a bug where leaping mobs would fall through the ground when leaping with 0 xz distance to their target. Demonic Soulcubes now cost diamonds instead of diamond blocks. Instability no longer affects bosses. Fixed the size scale and hitbox of rare subspecies. Fixed a bug where the rare subspecies level 3 bosses in dungeons weren't scaled in size correctly. Fixed vertical offset of the Aetherwave attack (fired by Sylphs). Fixed a vanilla crash triggered by the structure spawners when searching for the nearest structure on a world with no structure generation set. Fixed a crash caused by entities from other mods that don't have an entity ID resource location. Fixed a bug where the projectiles fired by Cacodemon and Beholder mounts exploded instantly. Added missing swiftswimming buff icon. ============================================================ Lycanites Mobs Update: Chaos Rats - Version 1.20.3.0 for Minecraft 1.12.2 Configs older than 1.17.3.2 will be reset. ============================================================ -------------------- New Features: -------------------- New Mob Added: Wraamon - Chaos rats that leap and bite causing instability. New Shade Model Argus now have a ranged Chaos Orb attack. -------------------- Major Fixes: -------------------- Fixed a bug where leaping mobs would fall through the ground when leaping with 0 xz distance to their target. -------------------- Balancing: -------------------- Demonic Soulcubes now cost diamonds instead of diamond blocks. Instability no longer affects bosses. -------------------- Minor Fixes: -------------------- Fixed the size scale and hitbox of rare subspecies. Fixed a bug where the rare subspecies level 3 bosses in dungeons weren't scaled in size correctly. Fixed vertical offset of the Aetherwave attack (fired by Sylphs). Fixed a vanilla crash triggered by the structure spawners when searching for the nearest structure on a world with no structure generation set. Fixed a crash caused by entities from other mods that don't have an entity ID resource location. Fixed a bug where the projectiles fired by Cacodemon and Beholder mounts exploded instantly. Added missing swiftswimming buff icon.